Scaling up your business comes in many forms. 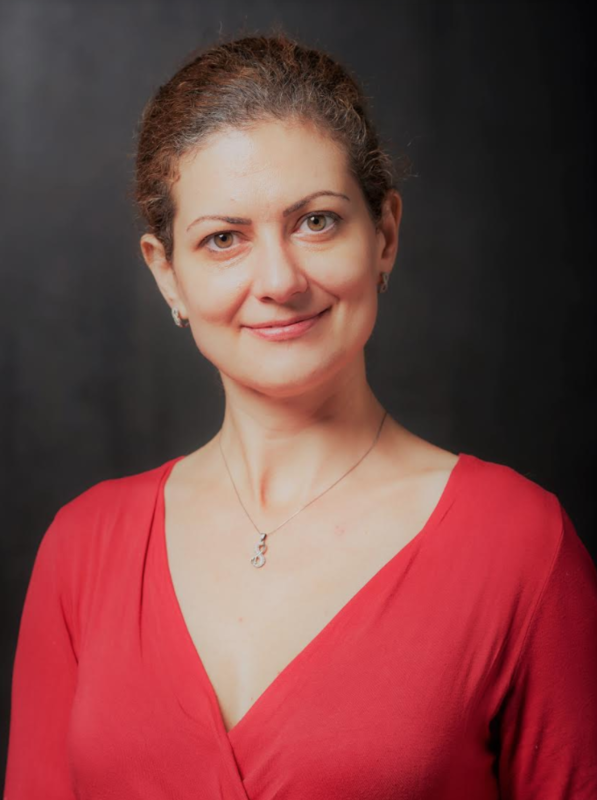 For Lilia Stoyanov, CEO of Virgin StartUp-supported business Transformify - a business empowering businesses and workers to benefit from remote working - a key part of scaling up for them has been expanding globally. We asked Lilia about how to make your business go global. We started working on the technology in May 2015 and launched public beta in Jan 2016. By the end of 2016, we were ready to scale and expanded into the US, Switzerland, and Singapore. 2017 was critical for us as we needed to adjust our user interface to address the needs and preferences of our clients based in Asia while keeping up to speed with our global expansion plans. Luckily, Transformify participated in K-startup Grand Challenge - an event subsidized by the government of South Korea - that help us a lot to understand the cultural differences. It may be surprising, but our first clients were not from the UK. From the very beginning, I knew that our solution would be embraced by the businesses in the US that face challenges accessing global talent due to the visa regulations. We identified our four key markets and initially focused on them. However, our social mission to provide access to jobs and secure payment to everyone regardless of the location or personal situation was very well accepted by many online communities. They spread the word - and in no time we had job seekers from 150+ countries and counting. Initially, we focused on four markets. Given that Transformify helps companies scale their business, access global talent, transfer secure payments and boost sustainable growth, it was key to link well-developed startup ecosystems with talent and business opportunities. The very minimum would be two countries at a time, but we had the resources to double the outreach and the effort paid off. Defining our ''buyer personas'' helped a lot as we provide solutions to two very different groups of clients, and a different set of market entry criteria was applicable in each case. The first ''buyer persona'' is a startup or a small business looking to expand into a new market on a tight budget. For this buyer persona, we developed a market entry pack of comprehensive business services including hiring, cross-border payments, affordable workspaces, and more. The decision criteria was around a developed startup ecosystem, language proficiency, and access to funding. The second ''buyer persona'' is a large organization or a multinational with a CSR (Corporate Social Responsibility) program, ideally a FTSE 100 or a Fortune 500 company. In many countries, including the US and India, there are mandatory legal requirements around CSR activities, diversifying the vendor base and the workforce. In this case, the countries to expand into were selected based on the existing CSR legislation and the number of headquarters or decision-makers located in that particular country. Transformify is a fully remote company. Having said that, remote work actually allowed us to have someone on the ground all the time. Having a business development executive and a marketing expert locally, who are coordinated by the head office, works much better than relying solely on emails. Attending conferences and events and meeting people face to face builds a different level of trust when entering a new market. Hiring local people also addresses the cultural differences. You don't do business the same way in South Korea, India, and the US. At the same time, most of our team members have never met in person. Everyone is sourced through the Transformify platform and gets paid via the platform. We live what we preach. Many amazing tools help us work efficiently despite being all over the world. We rely on Atlassian products (Jira and Confluence) for project and document management, HipChat, Skype, Google Hangouts for internal and external communication, HubSpot for marketing and sales management, Zendesk, and more. Combining Fintech, AI, and CSR is a new concept and we had to learn on the way. The user interface and the technology had to be adjusted numerous times to meet the expectations of each new market we entered. Switzerland is all about privacy, the Nordic countries insist on transparency, Germany prizes affordability, and South Korea prefers a premium solution. All this needed to be incorporated into our pricing strategy, user interface, and marketing efforts. No matter the time we spent researching the new market, the user preferences and comparing the data to the results we had achieved elsewhere, it was the trial and error, quick pivoting and execution that brought us where we are now. We are currently expanding into India and Australia and considering China and Japan. India is a very fast developing market that offers access to a skilled workforce, developed businesses and startup ecosystems and advanced CSR legislation. It is also the perfect ground for our financial inclusion and female empowerment initiatives. Australia has many government and non-government programs addressing the needs of people with disabilities or autism, which is in line with our social solutions. We already have a few clients in Japan who reached out to us rather than us reaching out to them. The interest is high and although it's a market perceived as hard to enter, it is on our radar. China is a market where many organizations fail, and we will definitely enter it jointly with a local partner.